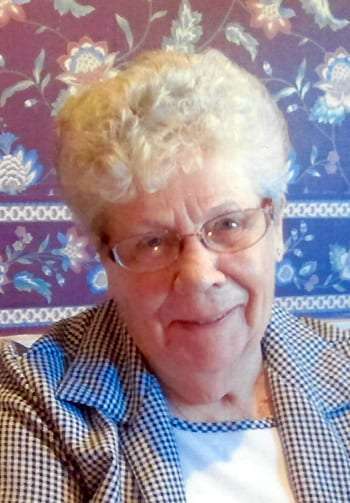 Independence – Donna L. Waters, 86 years old, of Independence, Iowa, died on Friday, December 25, 2015, at Lexington Estates in Independence. She was born on September 11, 1929, in Indianola, Iowa, the daughter of Roy and Opal Rae (Glasgow) Loucks. She graduated from high school in Indianola with the Class of 1947. She then attended Simpson College and graduated from Nurses College in Des Moines, Iowa. On February 3, 1950, she and Ralph Raymond Waters were married at the Methodist Church in Indianola. He preceded her in death in 2007. Mrs. Waters was a code editor at the State House in Des Moines. She was a member of the Order of Eastern Star in Indianola. Mrs. Waters is survived by 2 sons, Gary (Cindy) Waters of Independence, Iowa, and Barry (Andrea) Waters of Hudson, Wisconsin, 3 granddaughters, Allison Johnson, Katherine Waters, and Eleanor Waters, 2 great granddaughters, and 1 sister, Phyllis Middleswart of Indianola. There will be a Celebration of Life from 5:00 p.m. until 7:00 p.m. on Monday, December 28, 2015, at Oak View in Independence. Mrs. Waters’ cremated remains will be buried in Freemont Cemetery in Osceola, Iowa, at a later date. In lieu of flowers, a memorial fund for the M.S. Foundation has been established. White Funeral Home is in charge of arrangements. Online condolences may be left at www.White-MtHope.com.